Dr. Piontkowski is asked frequently to lecture on the subject of craniofacial pain and development, TMJ disorders, and sleep disordered breathing. He has given hundreds of lectures to various groups, including national medical and dental meetings, dental schools, professional groups and colleagues. Please contact our office at (301) 839-0055 or (301) 652-3444 to inquire about upcoming lectures or to request Dr. Piontkowski speak at an upcoming professional event. Dr. Piontkowski recently lectured at the national 29th Annual Meeting of the American Academy of Sleep Medicine and the Sleep Research Society. 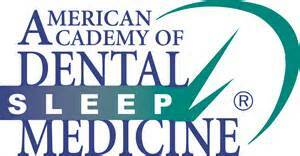 This premier national sleep medicine conference brings together physicians and researchers blending the most current sleep research with the best clinical practices. Dr. Piontkowski was a featured speaker, discussing the relationship to physicians between dentistry and treating sleep apnea.